Good reasons for galenIQTM, the multifunctional filler and binder. coating and syrups) as well as galenIQTM 900 (for medicated candy) complete the range. With galenIQTM only low compaction forces for high tablet hardness is required. The directcompressible types of galenIQTM exhibit first rate tableting properties due to their excellent compactability and high dilution potential. The figure shows tablet hardness as a function of compression force, both galenIQTM grades 720 and 721 need only extremely low compression forces to obtain very hard tablets. This is due to their binder properties, which is a helpful advantage in any kind of tablet formulation. It also protects pressure sensitive APIs. Furthermore, low compression forces help to protect the machine and tooling against fast mechanical wear and prevent the blend from segregation in the feed hopper. At high concentrations of poorly compressible API in the formulation, the galenIQTM enables the production of very hard tablets at extremely low compression forces. This indicates that adding further binder components may not be necessary in these kinds of formulations, which eases the formulation work in all aspects. galenIQTM reduces the bitter taste of APIs, it masks the unpleasant taste of e.g. plant extracts and contributes to a pleasant, well-balanced taste profile and mouthfeel of the final pharmaceutical or nutraceutical product. The figure shows the results of a study (3) with artificial sensors, that are designed to simulate the taste quality that persons perceive. This electronic tongue was used to measure the comparative bitterness reduction of a quinine hydrochloride solution. Interestingly in comparison to Maltitol, Mannitol and Sucrose, the addition of Isomalt (galenIQTM grade 721) in concentrations as low as 3 to 6% w/w a significantly higher bitterness reduction. With a well-defined particle size distribution, galenIQTM 720 and 721 provide outstanding flow and mixing properties.galenIQTM is the perfect excipient for easy tableting and for stick pack filling because no glidant is necessary. Agglomerated galenIQTM is a white, odourless and water soluble material. The agglomerated grades galenIQTM 720 and 721 feature a unique morphology. The large specific surface structure of the galenIQTM grades 720 and 721 eases the formulation of powder blends with different API particle sizes – be it 100 mesh or 10 µm or both at the same time. The very porous and large specific surface areas enable the incorporation of high concentrations of active ingredients on the one hand without compromising the flow properties of the final mixture. On the other hand, these surface structures prevent segregation even in very low dose blends during the whole process, thus ensuring the homogeneity of the mixture and subsequently the required content uniformity. Both grades, galenIQTM 720 and 721 provide excellent flowability as well as powder characteristics and differ only in solubility. The galenIQTM taste profile is very close to sucrose, it has an intense but well-balanced sweet taste. galenIQTM provides a good mouthfeel for chewable tablets, suckable tablets, stick packs and many more dosage forms. Patient friendly dosage forms are a prequisite for the effective treatment of diseases especially when therapy time is prolonged. 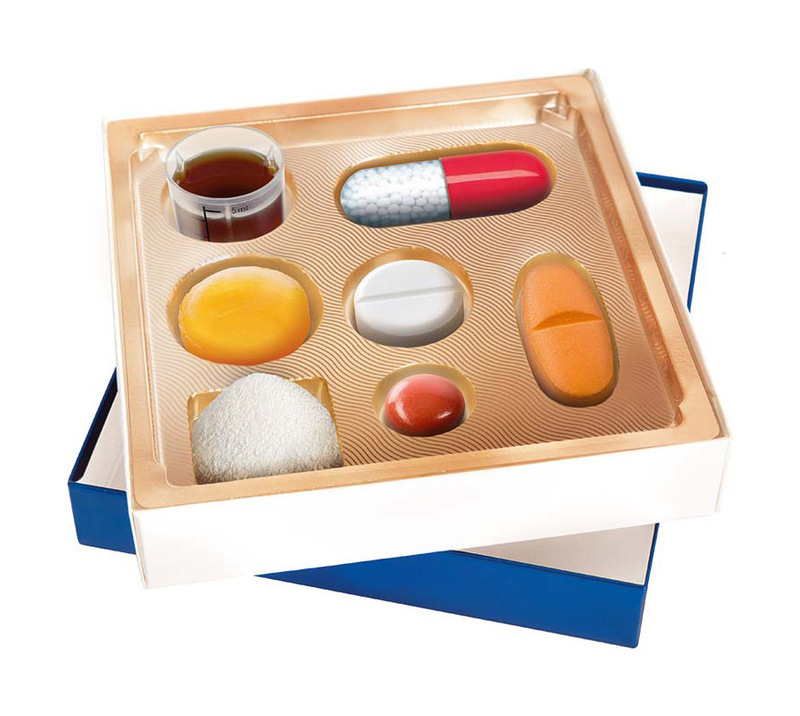 If the taste attributes of the medicine play a determining role, special pharmaceutical excipients are often used taking into account their sensory attributes such as sweetness and texture. In this respect sucrose is of significant importance, as it is an integral part of our food since primeval times and has become the epitome of the intimate taste impression for “sweet“. Therefore sucrose serves as the benchmark for all comparisons of sweetening power and the taste impression of sweeteners. In the development course of pharmaceutical dosage forms, sugar alcohols have become the preferred choice over sucrose when properties like suitability for diabetics and tooth friendliness are in the foreground. Isomalt is the only sugar alcohol that is derived from sucrose. It is mainly due to this reason that galenIQTM has a sweetness and taste profile very close to sucrose. 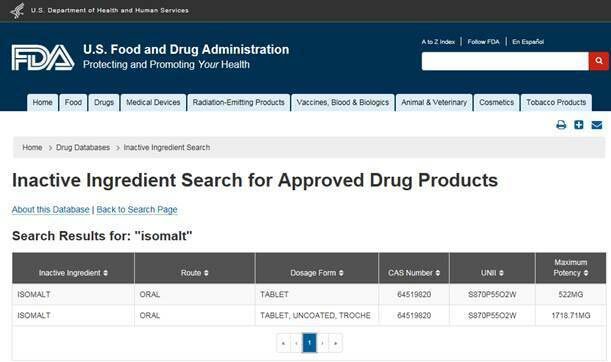 Isomalt does not have any significant off-taste of aftertaste. Both galenIQTM grades 720 and 721 (for direct compression and dry blends) exhibit high agglomerate stability, even if a high shear blending process is used. The figure shows that there is no significant change in particle size over blending time and flowability is not affected. 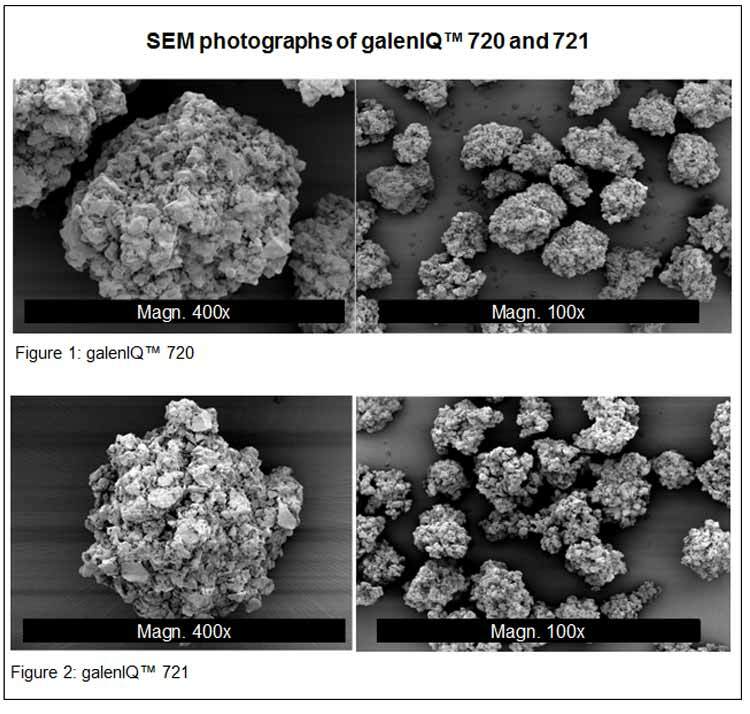 galenIQTM 720 exhibits high agglomerate stability during the process of mixing. Besides the mechanical, also the chemical stability of galenIQTM plays an important role. Based on its stable chemical structure, it does not react with other components – for example, with amino acids to form Maillard Reaction Products, nor is degraded by heat, acids or anzymes. galenIQTM even protects moisture sensitive APIs. The galenIQTM product range comprises different grades to serve a broad variety of solid dosage forms. Besides the grades 720 and 721 for direct compression and dry blend applications, the 800 Series offers special powder grades of different solubilities and particle size distributions for wet granulation, roller compaction, and other agglomeration processes. Sieved grades, such as galenIQTM 960 (starter pellets), galenIQTM 981 (for pan coating and syrups) as well as galenIQTM 900 (for medicated candy) complete the range. Lozenges provide an effective unit dosage amount of e.g. an antitussive, decongestant, antihistamine or expectorant ingredient which is effectively released by sucking the lozenge. Its physiological and physical properties as well as its chemical stability makes galenIQTM 990 the excipient of choice for high-boiled lozenges. galenIQTM based lozenges are very stable against water absorption as well as influences by API or temperature. galenIQTM provides a long lasting effect due to slow dissolution. Dissolution tests have shown, that a galenIQTM lozenge lasts approx. one third longer in the oral cavity compared to a sucrose/glucose syrup-based lozenge of the same weight, size and shape (see figure). The production process is almost similar to that of high-boiled lozenges based on sucrose / corn syrup. Ask our expert for technical support! galenIQTM does not absorb water and thus ensures long-time stability of your dosage form. With this characteristic, isomalt provides optimal protection even for moisture-sensitive active pharmaceutical ingredients. Furthermore, the low hygroscopic nature, combined with an anti-caking property, galenIQTM eases production processes such as mixing, agglomeration or tableting, and will help to eliminate the need for costly protective packaging. galenIQTM is produced from sugar, which is derived from sugar beet. galenIQTM is of non-animal origin and GMO free. The figure shows production steps of galenIQTM: In a first step, an enzymatic transglucosidation transforms sucrose to isomaltulose. In a second step, a catalytic hydrogenation creates galenIQTM(ISOMALT) .